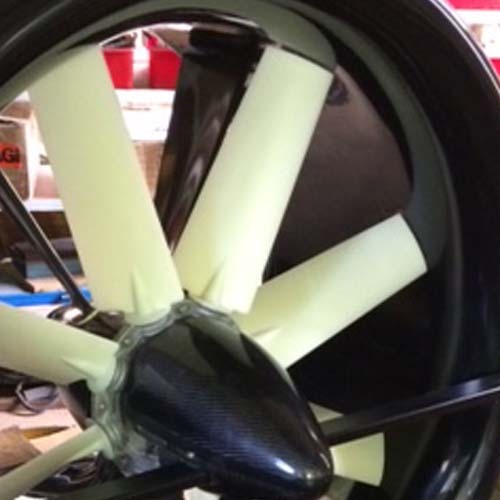 Viper Hovercraft has over 25 years experience in the design and supply of multi-wing fans for small hovercraft. Multi-wing fans are perfect for lift, integrated and thrust fan applications on small to medium sized hovercraft. Multi-wing fans are the ideal replacement for old Luke Air and Breeza fan assemblies. We can supply the fans as completed units with blades trimmed to fit your application or un cut blades and separate hubs. • 2 Blade styles available - 4Z aero foil and 5Z aero foil. All fans are Statically and dynamically balanced.